The size of the space doesn't matter. You can choose a spare room, a nook underneath a staircase, a corner of a room or even a dedicated area within your bedroom. The point is to find a spot where you can spend time daily to relax your mind, connect with your Source, and develop your spiritual life. As the world can be a stressful environment, particularly at this time of economic uncertainty, we encourage you to begin a daily practice. 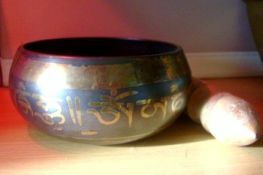 Set the energy within your personal Feng Shui meditation sanctuary space with this wonderful Meditation Singing Bowl. The sounds that are created are unique and both otherworldly and extremely relaxing mentally and physically. This is why singing bowls have been used for centuries in meditational and religious ceremonies to bring people into an altered state of consciousness. Amazon.com - Feng Shui Products at great prices! A dedicated area of your home will encourage the habit of spending time regularly alone with your thoughts and prayers. The sense of smell is connected to emotions. We burn a stick of rose incense every morning as a blessing to our home. When you bring yourself to a place of peace and harmony through time spent in your Feng Shui Meditation and Prayer space, everyone around you benefits from your renewed state of mind. The Knowledge & Self-Cultivation Gua on the Feng Shui Bagua Map is the Gua that is related to self-awareness and spiritual growth. 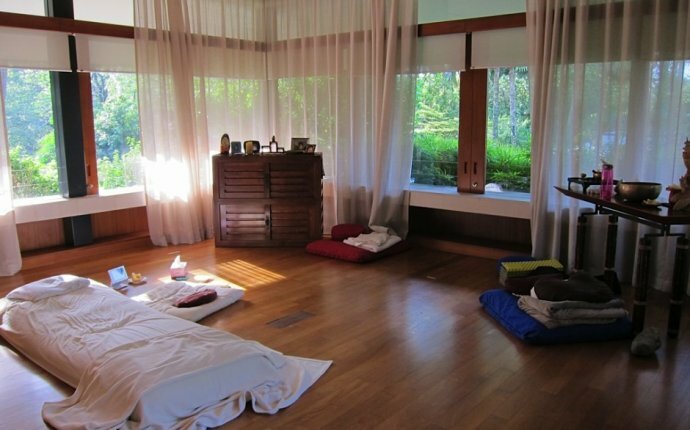 If you can place your meditation space within Self-Knowledge Gua of your home, office or room, all the better! “Secrets of Meditation, Energy and Manifestation” is a comprehensive introduction to meditation, breathing, energy work and manifestation. It’s ideal for anyone with an interest in meditation, self-growth and personal development as well as anyone suffering from stress, anxiety or depression. Our friend, Ken Roman, has just released a new meditation CD, and it's especially good for those desiring stress relief or want to start a daily meditation practice.